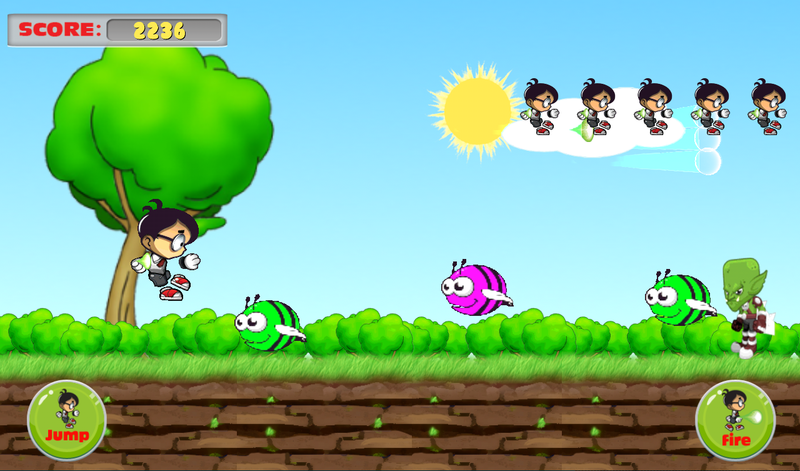 Pukipuki is lovely 2d kids game where you need to help your cartoon character to reach his destination. 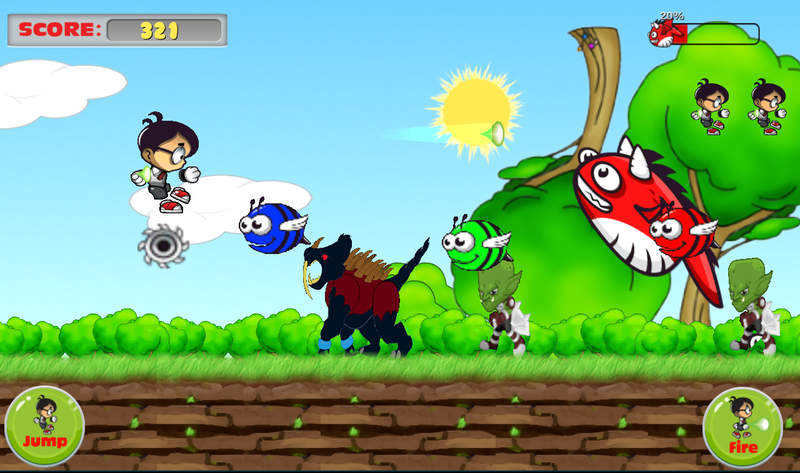 Play this action game and I’m sure you will enjoy every steps of this game. While going through the jungle you need to kill or destroy the enemies by applying your shooting skills. 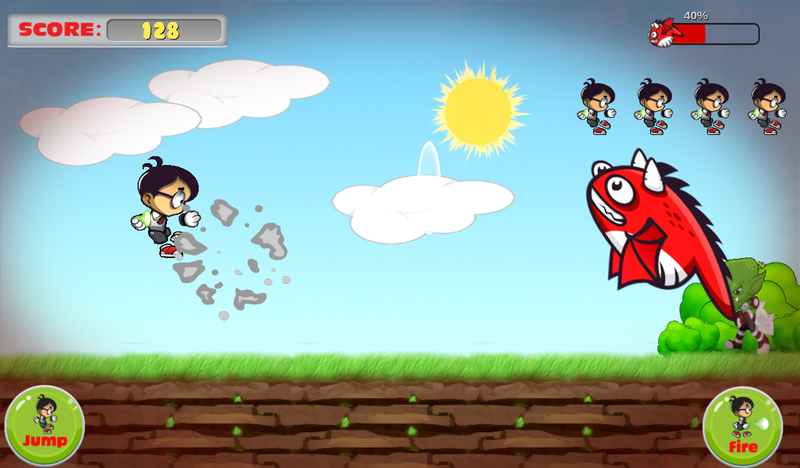 Shoot the evil fishes, honeybees and other enemies before they attack and avoid being hit by them. Collect bonuses and you will have more strength in the battle against the enemies. At the end of the level you will have to face the big boss, so get ready! 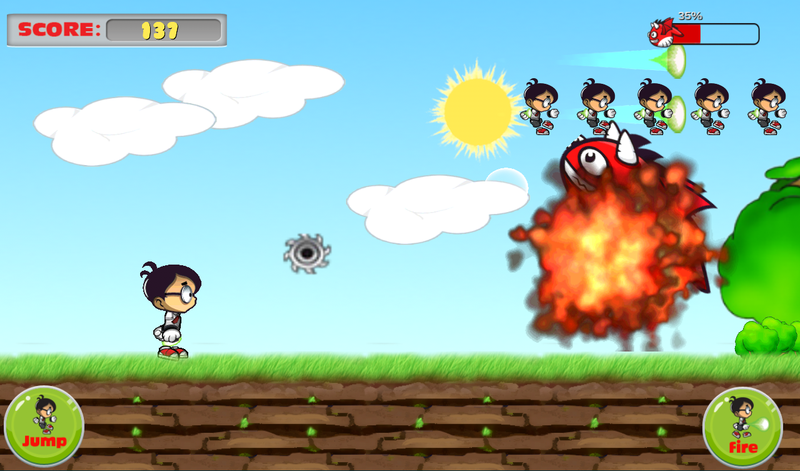 Enjoy the adventure, use jump button for proper jumping in right time, and use fire button to kill the enemies. Sometime use power fire to protect own from the big attack. 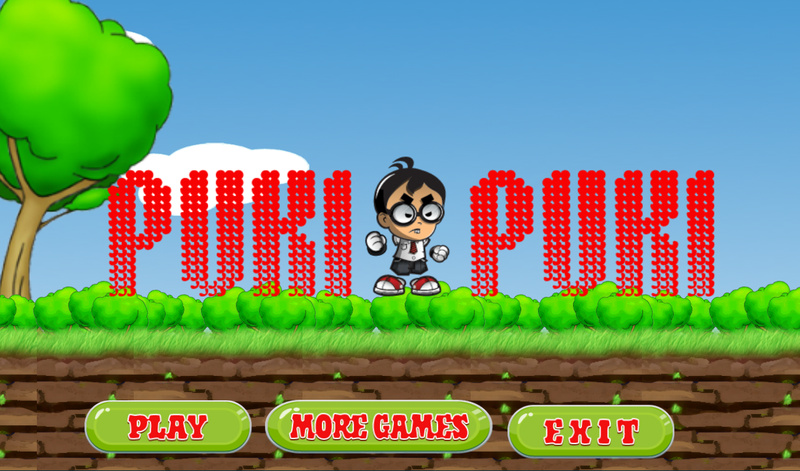 While playing this 2d kids game Pukipuki you have few lives which you need to save for later. If you hit by the enemies or falling down in the wrong place while jumping then each time one life will be lost so be careful.